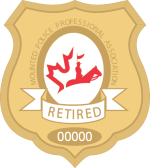 This page dedicated to the Retired Members Alliance. We are all going to be retired members one day and your association wants to be there to take care of you in that capacity. Please find the legal indemnification program which your national executives believe will be of great value to you and your family. This is a program that should prove to be very beneficial as you enter your retirement years. Please review the attached flyer and direct any questions to our executives listed below. You may also be entitled to various other benefits (i.e.. Veterans’ Affairs etc) that you may not be aware of. Our RMA executive have more information on these benefits and other benefits which you might be entitled to. Please contact us here to reach one of our directors for assistance.Â We look forward to hearing from you soon.